Muddy terrain, unpredictable roots, steep ascents, and tough gravel — all of these conditions await the adventurous mountain biker on the rugged trails of Ireland. Unlike road cycling, sometimes the rides require the biker to rapidly get off the bike and trek through the mud and muck in order to continue on the given trail. In these conditions, your cycling shoes can determine how you handle the situation. 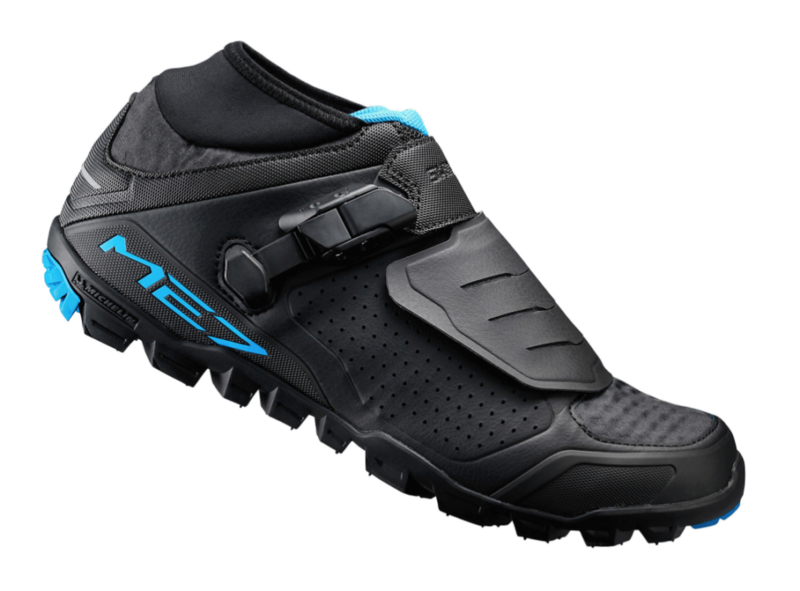 The bold uncertainty of mountain biking requires different features on your shoes to help you conquer the terrain. You need to be able to apply maximum power to the pedals while still having the ability to quickly dismount the bike to trample through a deep stream or jump over a few roots without injuring your feet. Mountain biking shoes need to be comfortable, stiff enough to optimize power application but flexible enough to allow on-foot pursuits, and most of all, durable. Also, the toe and the heel of the shoe must have adequate strength in order to protect your feet from harmful rocks and unexpected obstacles. The durability of the shoe is key. You will be putting your body, and your feet, through a lot during mountain biking, so, save your energy for the trails and take a look at six of the best mountain biking shoes on the market today. The Mavic Crossmax Off Road shoe was designed specifically for what its name suggests — off-roading. 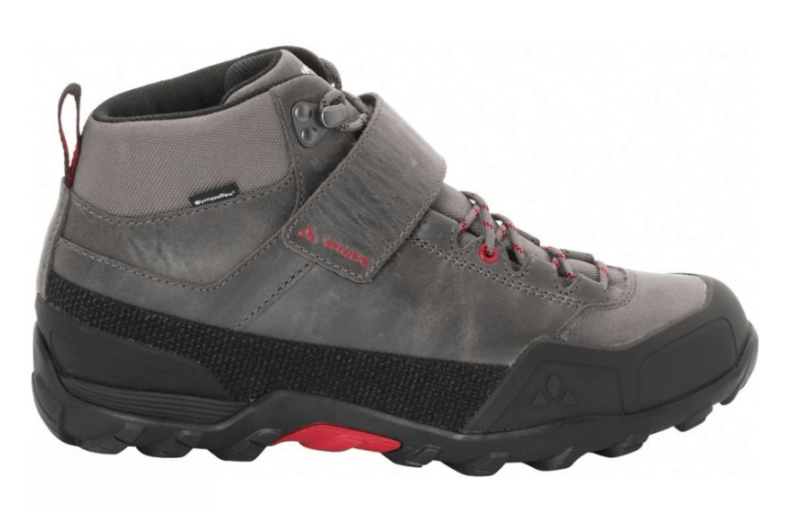 The rubberized toe padding protects your feet from sturdy rock impacts, and the large flaps found over the laces keep your shoe clean for an easy removal after a long day of tramping through the mud. Breathability and protection are combined in the synthetic leather upper, as there is just enough mesh built in to air out your feet without leaving them vulnerable to the elements. Although the sole is somewhat stiff, it has enough flexibility to allow for walking and hiking for extended periods of time. There is also a small Neoprene cuff around the ankle to stop debris from entering your shoe, so you won’t get irritated when pebbles come flying up from your tires. Trustworthy and durable, these shoes will stand the test of time no matter what biking throws at them. If you’re used to heading out to the trails in the pouring rain, or slamming through creeks and rivers, this is the waterproof shoe you’ve been waiting for. Designed with durable leather, the Vaude Tsali AM Mid STX offers a solid base and lightweight material. 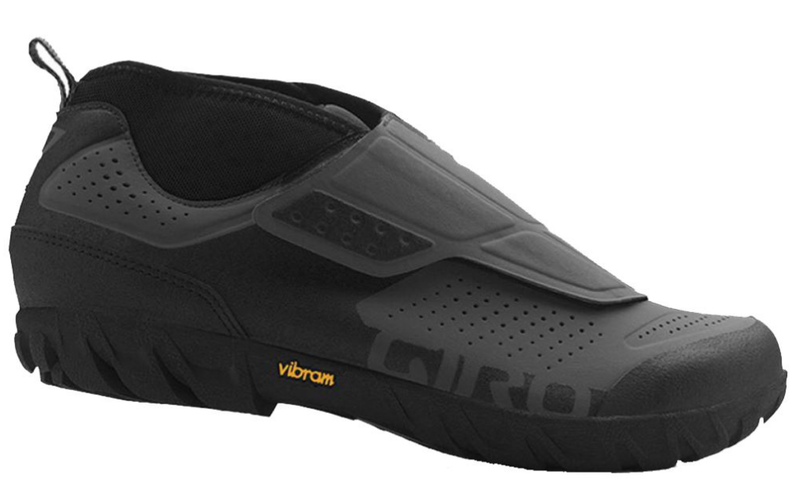 The front laces are backed up with Velcro to give you a close, snug fit that does not cut off circulation, and the soles, made of Vibram, achieve amazing grip on walking segments of your ride. 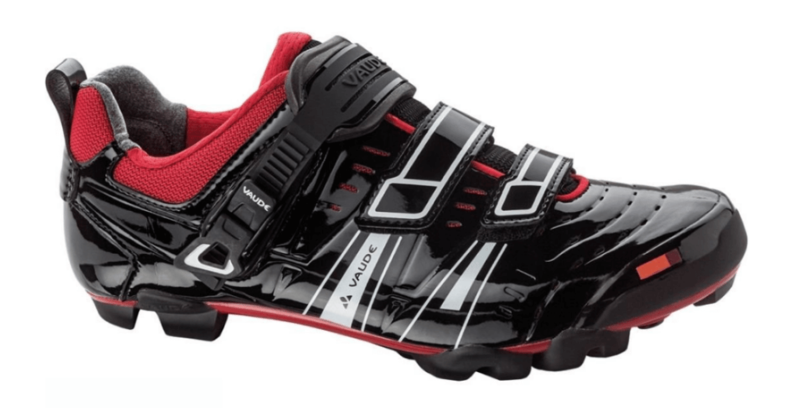 The overall structure of the shoe prevents dirt from building up on a ride, and the sturdy toe and heel caps provide stability and protection from harmful impacts. The Sympatex (eco-friendly) membrane blocks out moisture and dirt while also contributing to airflow and breathability. This shoe is also environmentally-friendly, with the lining and insole made with up to 50% recycled materials. So, when you’re tearing up the wild trails, you can feel good about helping out the environment that you’re experiencing. The Giro does not sacrifice comfort for protection — it blends the two seamlessly. The Ariaprene screen covers your vulnerable ankles while moving with you. The screen is not stiff, which allows you to move about freely and nimbly, but provides a great defense for flying rocks and debris. Arch support is given by a molded EVA sole, while the forefront of the shoe is flexible enough to easily switch from pedaling to trekking on foot. The Terraduro also contains a Vibram outsole that stabilizes you on rocks, streams, and roots, and a reinforced toe box protects you from unexpected elements. The laces of the shoe have seven different adjustment points, allowing for a close, customized fit. The shoe is also extremely water resistant, meaning you can stay dry and comfortable even through streams, rivers, and heavy rain. Pearl Izumi’s latest shoe for women has been designed not only for biking, but also for running, making it the ideal choice for someone who is experienced on trails that require a mix of hiking and pedaling. The carbon-composite plate on the sole provides a stiff platform to apply power to the bike, while the heel is blended with moulded rubber and running shoe EPA to give a cushiony base with flexibility and extreme grip for those immediate hikes you find yourself on mid-ride. Airflow is optimized with mesh material all through the upper. The straps are able to be fine-tuned with a ratchet, getting rid of irritating, uneven pressure points, and the heel is graced with no-slip material to prevent your feet from leaving the shoe, even in tough terrain. 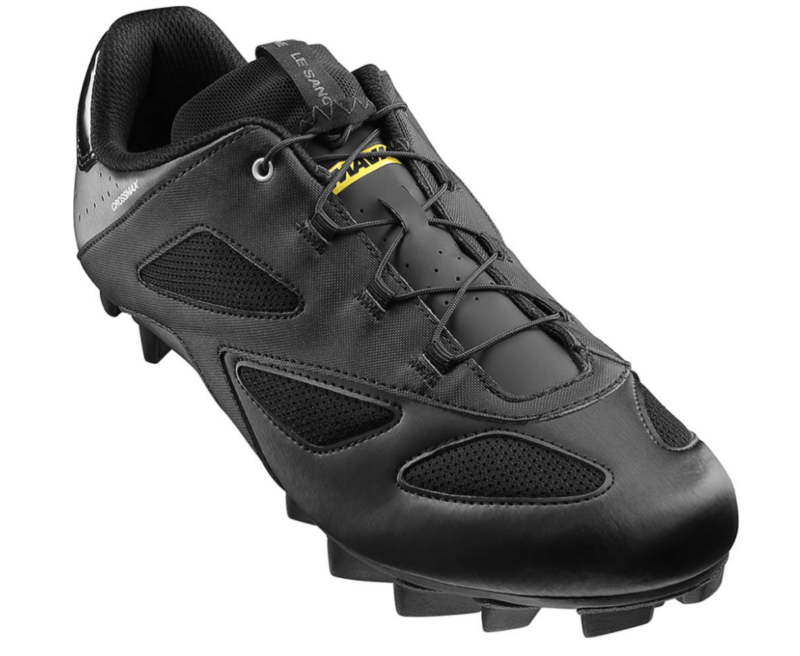 The Exire Pro RC cycling shoe is engineered for maximum power application. The shoe is adjustable (the top closure strap has an adjustment and ratchet closure mechanism) so you can feel out how you ride, and then change your shoe to fit perfectly. The heel is made with a gripping material to ensure maximum hold, and the outer material is dirt repellent, so they’ll still look like new after each ride. Furthermore, there are ventilation slits on the outside of the shoe, improving circulation and cooling your feet no matter the weather or intensity of your workout. 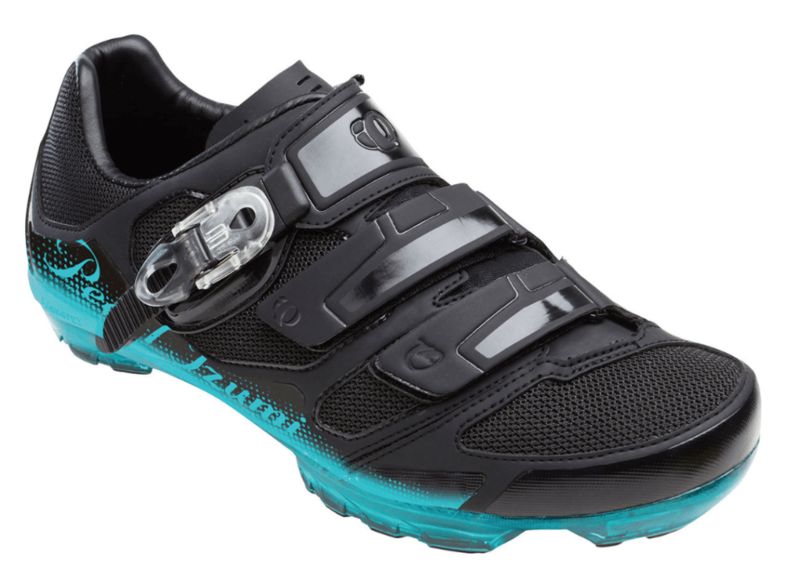 Most importantly, the shoe is compatible with all current MTB clipless pedal systems. If you’re looking for a shoe that is designed specifically for you and how you ride, this is the shoe for you. This shoe features a carbon reinforced midsole that not only provides the stiffness needed to increase efficiency while pedaling, but also has flexibility around the heel for exceptional mobility. Also, the rubber sole is extremely dense, adding much needed grip and traction whether on or off the bike. A Neoprene ankle cuff and thick toe guard protects your feet from harmful debris, and the mesh material around the shoe increases breathability. With a slightly more narrow fit, this shoe is optimal for trail racing. The fastening system contains laces below a securing flap that attach to a buckle and ratchet strap. This allows for a secure, customizable fit that does not feel restrictive. And, the strap ensures the protection of the laces from any damage on gritty rides. Also, the shoe has extra long mounting slots, which allow you to slide the cleats as far back as possible to give you more flexibility in the front of the shoe for walking. The mix of elasticity and strong fit makes this shoe a great contender for your next pair of racing kicks.